Does anybody have a description of the metal end sill and brackets for a 19-22 Touring? Maybe a pic? This is used on the low cowl, 5 piece back, straight winshield Tourings. The metal sill is located directly under the Touring rear seat frame and attaches to the main wood body sills. Supposedly its attached with brackets to the main frame. I am building a 21 Touring and havent found any pics of what the metal sill and brackets look like. I think Howells advertises it as a Touring rear cross member but with no pic in his sheet metal parts catalouge. I have a few brackets but not sure if they are correct. 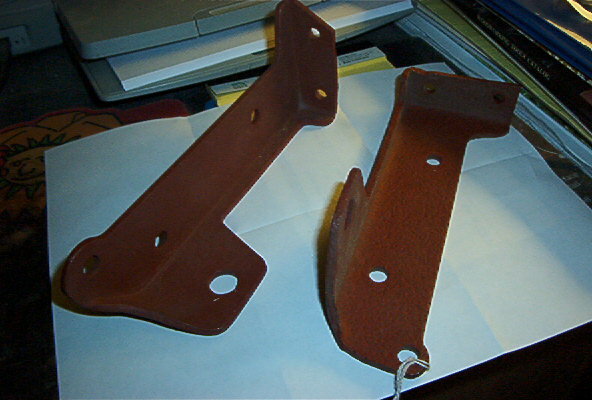 The front and center frame to wood brackets are the triangular brackets which I already have. Not sure about the rears. Thanks and appreciate any help. John I have several sets of them and will take a picture and post later today. If you need a set,I can send you one. I will bet that Jacks prices are the best!! John,I seem to recall buying mine also. I didn't think you did either,but just so everyone else knows,I don't have an inexhaustable supply of parts,free or otherwise.I do try to help folks out from time to time. Jack, I sent you a PM yesterday. Please let me know if you got it. You were the first that responded. Thanks to all for reponding. I do appreciate it. Merry Christmas! John, I didn't get it,sent you a PM. I got your PM this morning. I responded thru straight email. Hope you get it.